L . LACHHMANDAS & CO.
Rustomjee Elements is a residential project developed by Rustomjee located in Mumbai. The project offers 3BHK, 4BHK and 5BHK apartments well equipped with modern amenities for comfort of residents. In which area is Rustomjee Elements located?The project is situated in Andheri (West), Mumbai Andheri-Dahisar. What size of flats are available in Rustomjee Elements? 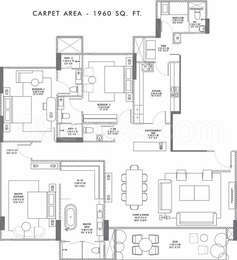 The apartment sizes in the project vary from 1584.0 sqft to 3553.0 sqft. What is total area of 3 bhk in Rustomjee Elements? 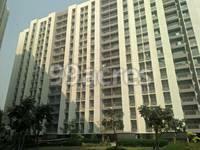 3 BHK units in the project are available in a size of 1584.0 sqft to 2131.0 sqft. What is the area of 4 bhk in Rustomjee Elements?  The size of 4BHK units in the project ranges from 2350.0 sqft to 2467.0 sqft. Does Rustomjee Elements have lawn tennis? Yes the project has lawn tennis. Does Rustomjee Elements have skating rink? There is no skating rink in the project. Are schools and hospitals easily accessible from Rustomjee Elements? Hi Rajan, positioned in the well-developed locality of Andheri [West], residents of Rustomjee Elements enjoy easy access to almost every functional social facility. The reputed schools in the area consist of Jamnabai Narsee School[2 km], Maneckji Cooper Education Trust School [4 km], Taraben school [5 km] Mary's High School [6.5 km], Bombay Scottish School [10 km], Hasanat High School [6.5 km]. Sujay hospital [1 km], Kokilaben Dhirubhai Ambani Hospital [2 km], SevenHills Hospital [7 km], Holy Spirit Hospital [6 km] are few good hospitals in the area. Yes it has many hospitals and schools nearby .most prestigious is Kokilaben Hospital in Andheri West and there are many schools in its vicinity in Juhu Andheri area .it's well connected on all sides .it's a super luxury complex sought after by rich and famous . Planning to invest 10 crore in Rustomjee Elements. Will it help me capitalize good returns in short-term? Hi Mr. Alok Modi, I can give you a better choice to Invest in construction stage building Rustomjee Crown at Prabhadevi. They have decent flat choices, you will get 2000 carpet 4 bhk in ten crore, with the ability to defer payment as per stages of construction. And the builder himself will increase price every six months by at least 5 percent, since it is construction stage. Prabhadevi is an equally good area, better than andheri and near to all good locations. you can contact me . i am linked to builder. Hi Alok, Rustomjee Elements is a good investment option as the property values have appreciated strongly by more than 50% since its launch in 2014. The strategic location in the MMR area of Andheri West locality with integral metro line and railway, and additionally, the presence of educational institutions, entertainment zones, health care centers, makes it one of the top investment destination on the list. However, predicting returns in the short-term window in real estate is an impossible task, it is advisable to park your money in the property for 5 years or more to earn excellent returns.